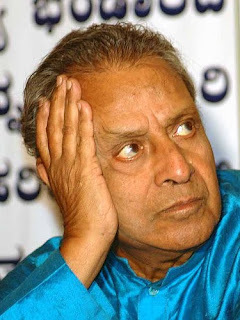 Senior Kannada actor KS Ashwath (Aswath) passed away On 18th January 2010 at 1.45 am On Basappa Memorial Hospital Mysore. He was ailing from long time and he was admitted to the hospital on 13th Jan after he suffered a minor brain attack. He was survived by his wife Sharada and four children. His body will be laid out at 8.00 a.m. in Jaware Gowda Park in Saraswathipuram for public viewing. The 'Chamayya Mestru' of the movie Nagarahavu started his acting career as a theatre artiste and he entered Kannada films in 1950s. He debuted as an independent hero with the movie Striratna. He had acted in 370 movies.